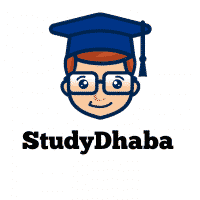 Indian Economy SWOT Analysis pdf Download As per Union Budget 2017-18 – Hello Friends Welcome to studydhaba.com .Here We Are Sharing Indian Economy SWOT Analysis pdf Download As per Union Budget 2017-18. The Economic Survey of India analyzes the basic Strengths, Weaknesses, Opportunities and threats Strengths . Despite gloomy global economic environment, Indian economy presents a bright spot with its impressive performance. Survey predicts a growth rate of 6.5% to 6.75% during 2016-17. The Monetary Policy Committee (MPC) estimates it to be around 7% making the country a fastest growing major economy. External debt is within the safe limits and the Country is on the path of fiscal consolidation. FDI reforms have been able to attract huge chunk of foreign investment and Forex reserves have grown to $360 billion by December 2016. Successful demonetization is likely to yield long term benefits of reducing corruption, increasing household saving and widen the tax base. Passing of GST act will further increase the competitiveness of goods and services. India’s share in the world manufacturing exports is rising. Internal mobility of goods given by the interstate trade in India is about 54% of GDP or about 1.7 times the international trade. In terms of commitment to climate change, India has outperformed most of the other countries. India has a favourable demography. A very extensive network and infrastructure is created in the country by JAM trinity to reach the targeted groups. There is convergence of health outcomes like life expectancy and fertility rates across the states over the time. Inflation rate is 4 to 5% and declining and relative prices in economy have considerably stabilized.Current Account Deficit is less than 1% of GDP and dollar-rupee exchange rates are relatively stable. India has been a well acknowledged democracy at all levels with reasonably developed institutions and large public participation. It has potential to grow at 8 to 10% in medium to long term. GST implementation is likely to suffer from sub-optimal design and too complicated a structure for efficiency gains. Ideological and philosophical confusion regarding the roles of the public and private sectors has led to the unwanted delay in allowing exits, disinvestments etc. Out of several essential public services, delivery of health and education does not provide any good replicable model across states. Private investment is low and exports are no longer growing at higher rates. The corporate sector and commercial banks are caught simultaneously with their respective stressed balance sheets. Growing NPAs are posing a threat to the economy. The fiscal deficits in the state govt. budget have been rising of late. Heavy reliance on high growth rate of income to reduce the debt-GDP ratio rather than reducing the primary deficit has not yielded the desired result. The ratio of working age population to non-working age population in India will reach its maximum value of around 1.7 by 2020. This is substantially less than corresponding maximum values in other BRICS countries, implying lower demographic dividend in India. Investment and savings rates have been declining. Income and consumption inequalities across states are increasing. Reform the bankruptcy laws for exits of corporations to release locked up resources. Strengthen legal basis for Aadhar cards and allow inter-operability to encourage digitalization payments for efficient functioning of govt. schemes to achieve inclusion and equity.. Rising Dollar on accounts of developments in the US economy could compel the Chinese economy to reduce its exports and rebalance in favour of domestic consumption. This would have positive spillover effects on India and the rest of the world. Higher growth prospects in advanced countries like US and Germany can lead to revival of exports from developing countries like India. After BREXIT, India has opportunity of renegotiating free trade agreements with UK and Europe for the benefit of India. Unfavourable stance of US on regional trade will once again promote multilateralism, which would be in India’s favor. The peninsular States have more elderly population compared to hinterland States. The demographic differences indicate opportunities for greater labour mobility to achieve higher growth. The demographic dividend in Peninsular states would reach the peak around 2020, but the hinterland states would reach its peak only around 2040. Thus the demographic dividend would be enjoyed by country over a much longer duration than most other countries. There is an opportunity to create a Public Sector Asset Rehabilitation Agency to address the twin balance sheet problem. International rating agencies have not been consistent in upgrading their ratings of different countries. India seems to be on receiving end in this regard. Competitive populism in the federal democracy can damage fiscal discipline and governance standards. International political order and environment are fast changing towards isolation and protectionism. International oil prices are on the rise and so also the commodity prices. As a consequence of developments in US economy, global interests rates and inflation rates in the advanced countries are on the way to strengthen. This can have adverse impact on India’s capital inflow and investment climate. If rising dollar on account of developments in the US economy results in the dollar induced depreciation in Yuan, it may lead to substantial structural transformation and disruptions in China that can have adverse spillover effects on Indian trade and investments. The world exports to-GDP ratio has been declining for the last 6 years. India’s competitiveness in the world market is seriously threatened by emerging countries such as Vietnam, Bangladesh and Philippines. In terms of the real effective exchange rate (REER), the Indian currency is appreciating against other currencies and hence is losing the competitive advantage. India’s demographic advantage is likely to recede soon. The survey 2016-17 has attempted a very exhaustive review of the Strengths, Weaknesses, Opportunities and Threats for the Indian economy and has suggested some specific reforms and actions to tackle challenges and address weaknesses.